Philander Smith College (PSC) is a four-year, private, liberal arts institution affiliated with the …. Philander Smith College (PSC) is a four-year, private, liberal arts institution affiliated with the United Methodist Church (UMC). It was founded in 1877 as Walden Seminary to provide educational opportunities for freedmen west of the Mississippi River. In 1882, Adeline Smith, the widow of Philander Smith, donated ,500 to Walden Seminary. 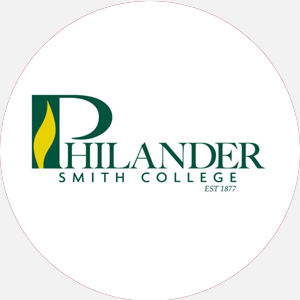 As a gesture of gratitude, the seminary was renamed Philander Smith College. The following year, the college was chartered as a four-year institution and conferred its first bachelor’s degree in 1888. Over the following 60 years, the academic programs were expanded and strengthened. In 1949, Philander Smith College was fully accredited by the North Central Association of Colleges and Schools. In 1983, approval for accreditation was received from the Arkansas State Department of Education. Today, Philander Smith College continues its rich Christian heritage through ties to the United Methodist Church. The College strives to instill the desire to serve. Philander Smith College is proud to have earned the designation as the “College of Service and Distinction.” The 25-acre campus houses twenty buildings, including the Wesley Chapel and Parsonage of the UMC. Recently, an outdoor sports field and paved track were completed. Philander Smith forms part of a cooperative center with Arkansas Baptist College and Shorter College in sharing resources and programs. Philander Smith College is accredited by the North Central Association of Colleges and Schools (NCACS) to award the Bachelor of Arts and Bachelor of Science degrees. May 1 (fall); open (spring). August 15 (fall); December 15 (spring); Rolling admission. Minimum of 124 credit hours and completion of core requirements; 2.0 GPA (2.50 GPA for Teacher Education); complete 22 of last 32 semester hours at Philander Smith College; pass an English Proficiency Test in usage, speech, and writing; take the Graduate Record Examination or the National Teachers Examination; apply for graduation; be approved by faculty on the basis of academic record and personal character. Campus Regulations: Freshmen are required to live on campus unless they are residents of the Greater Little Rock area or were given special permission to reside elsewhere. Assemblies are required. Dorm visitation hours, curfew, and quiet hours are enforced. Alcohol is not permitted on campus. Campus Services: Health, career counseling and placement, student employment, tutoring, remediation, chapel, and religious activities. Campus Activities: Social and cultural activities include theater, lyceums, chorale, and band. The Little Theater Guild features two to three full-length productions each year. Students may get involved in the Panther (student-run newspaper) or the Philanderian (yearbook). Communication majors or volunteers can work at KPSC, the college radio station. Mandatory cultural and educational assemblies are held every Thursday. Vesper programs take place monthly. Annual programs scheduled include Dr. Martin Luther King Birthday Celebration; Black History Month activities; and the Founder’s Day Celebration. Leadership opportunities are found in the Student Government Association (SGA) or in the various departmental clubs, such as biology, business, language, and home economics. Students interested in acting or writing can join the Art Guild or Writers Club. Greek sororities include Alpha Kappa Alpha, Delta Sigma Theta, Sigma Gamma Rho, and Zeta Phi Beta; fraternities include Alpha Phi Alpha, Kappa Alpha Psi, Omega Psi Phi, and Phi Beta Kappa. Honor societies include Alpha Kappa Mu and Beta Kappa Chi, which represent the highest distinction in the field of pure science in black colleges and universities. Housing Availability: 220 housing spaces available.